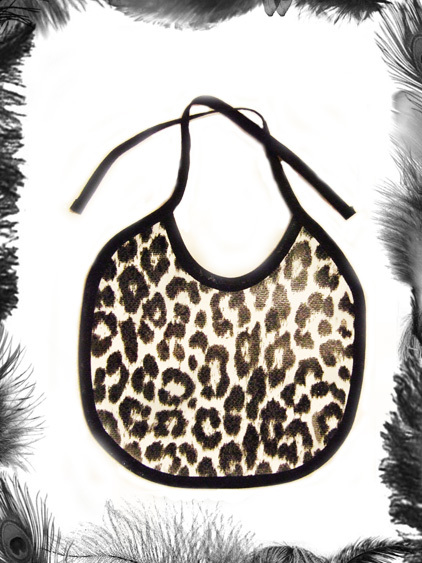 Cute black & white Leopard print Baby Bib. Easy Wipe plastic / PVC fabric with black cotton trim / tie. Care instructions: Wipe clean or wash at 40 degrees.